By owning an SSL certificate, you will protect your clients’ personal information and will ensure them that your website is secured and trustworthy. 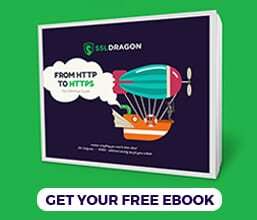 Moreover, since Google announced that it will use “HTTPS” as a signal for search engine results, many webmasters rushed to encrypt their website connections. But SSL Certificates are different. They vary by validation types, issuers, and other particular features such as the possibility to encrypt subdomains. 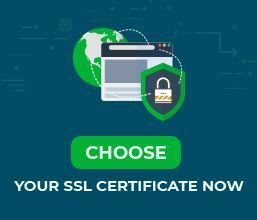 So, how do you choose the best SSL certificate for your website? Confidence. Do you need to provide your customers the highest level of security assurance? Then you should choose the Extended Validation SSL Certificates, because besides using “HTTPS” in the URL, these certificates will also make the address bar of your users’ browsers to become colored in green, and get a green closed padlock icon. Moreover, it can empower your website with a trusted mark, so that your clients will be fully confident that they can trust your website and that their sensitive data is protected. Encryption level. In accordance with your needs, you may choose between standard encryption levels of 128-bit and 256-bit. The last one is today’s standard choice. Customer support. You want to make sure the dedicated customer support will be there 24/7 to help you solve any issue. They should address security issues immediately. An instant, professional and always available customer support is very important. Once you’ve checked all these characteristics, you should be ready to buy the best SSL Certificate for your website. Click here to browse our SSL Certificate collection and choose the best one for your business.